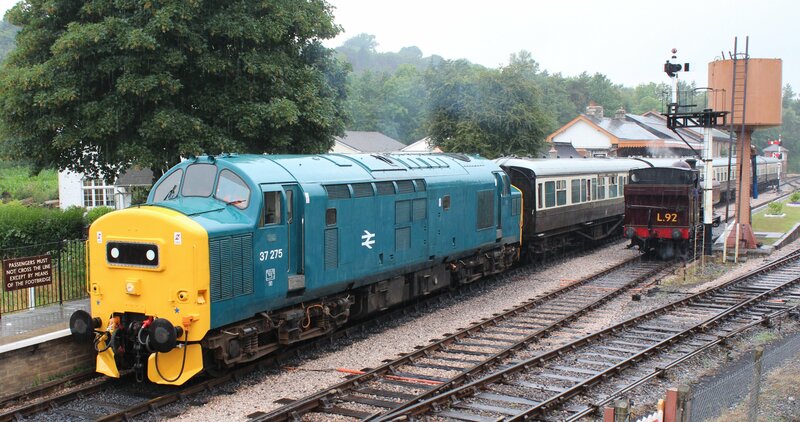 During the heavy rain that accompanied my visit to the South Devon Railway (click here for more), a low growl could be felt as I arrived at Buckfastleigh. But this was not thunder, although at first it seemed that it might be. 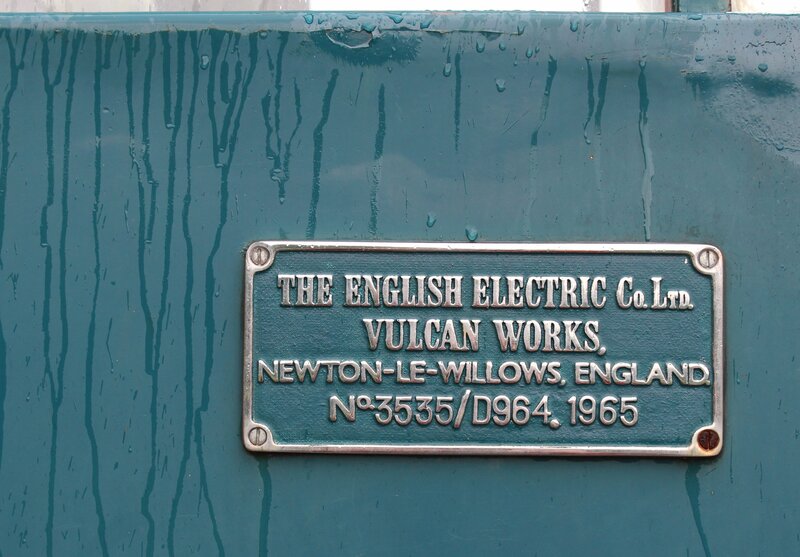 It was the sound of an English Electric class 37 diesel, a machine that would normally seem a little out of place on a Great Western branch line. On this day however, it seemed just the thing to power through the thick weather. As I readily admit, my knowledge diesel locomotives is not quite up to scratch yet, but it’s growing along with my appreciation of them. 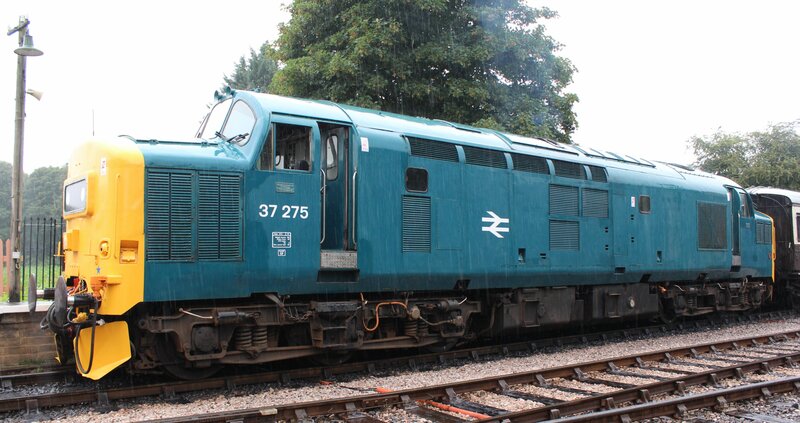 The class 37, also known as the English Electric Type 3 is a distinctive beast and this is an original 37/0 version built in 1965 sporting BR blue livery. 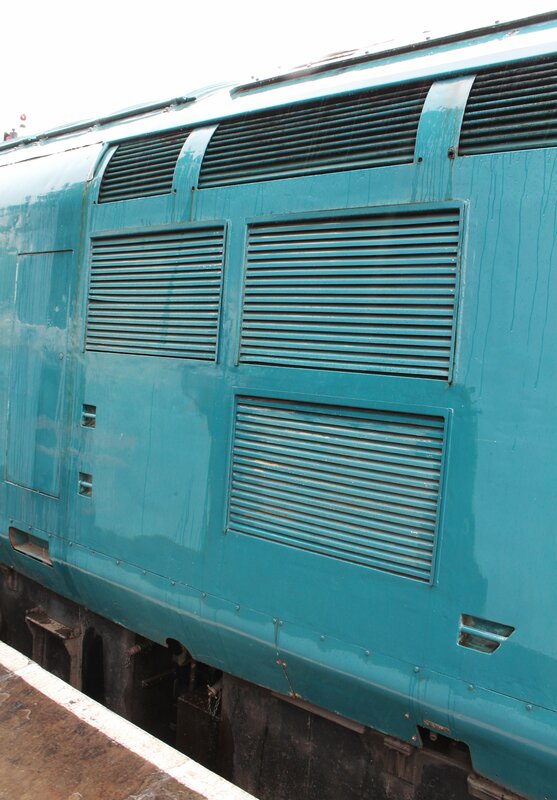 If my research is correct, the fact that the horns are on the roof (rather than nose) is a good indicator of it being one of the last batch of 37/0’s built, with another clue being the single central headcode box. The stats on the picture above did make me chuckle to myself. A locomotive capable of running up to 90mph was hauling a train on a heritage line with a speed limit of 25mph! 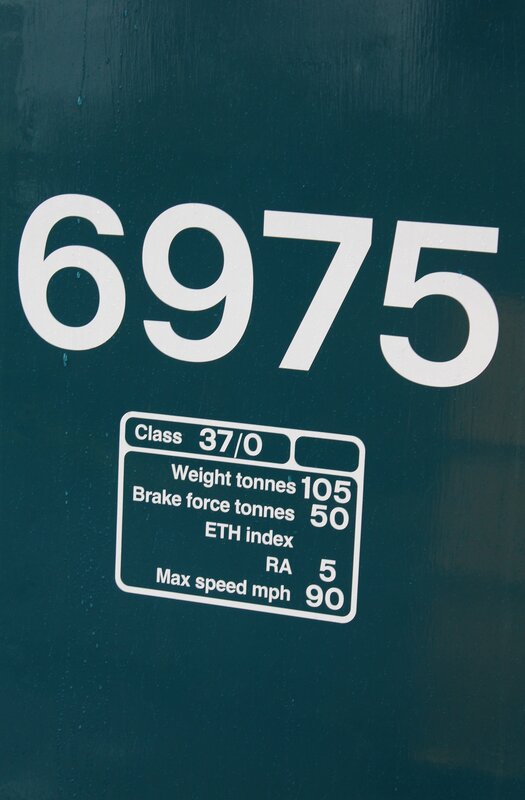 The 1,750bhp class 37 is a capable locomotive and worked fast passenger as well as heavy freight services throughout their careers. They benefited from being relatively light for their power output. This meant they had a wide route availability. 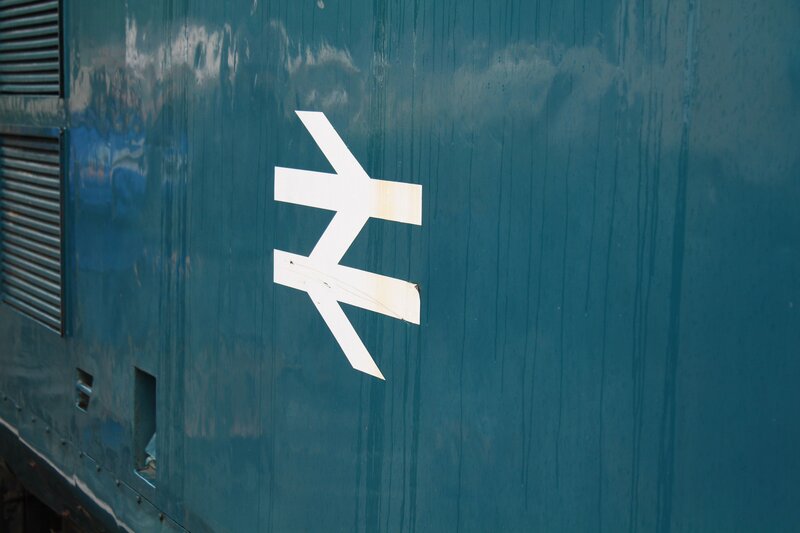 They were classified as having a route availability of “5”. For those who (like me) do not know what this means, the route availability scale ranges from 1 for the most restricted through to 10 for the least. On this day, D6975 not only sounded impressive but looked it. The powerful engine was producing much exhaust, in fact in many ways it was putting on a show not dissimilar of a steam engine. 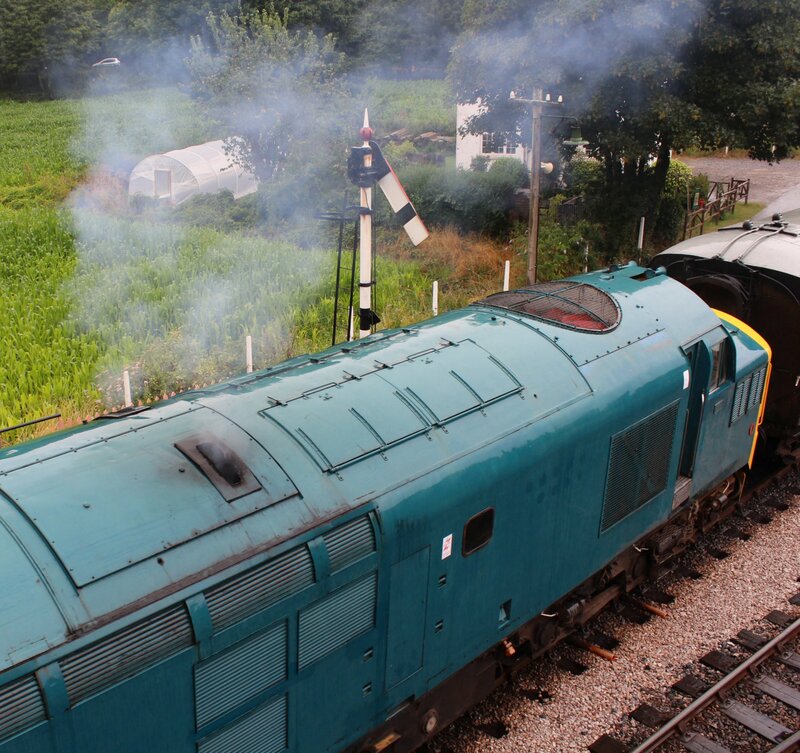 The picture above illustrates how much bigger D3675 was than Pannier Tank L.92 (click here for more) that had hauled the incoming service. Did anyone say overkill?! Overkill is too harsh a word. 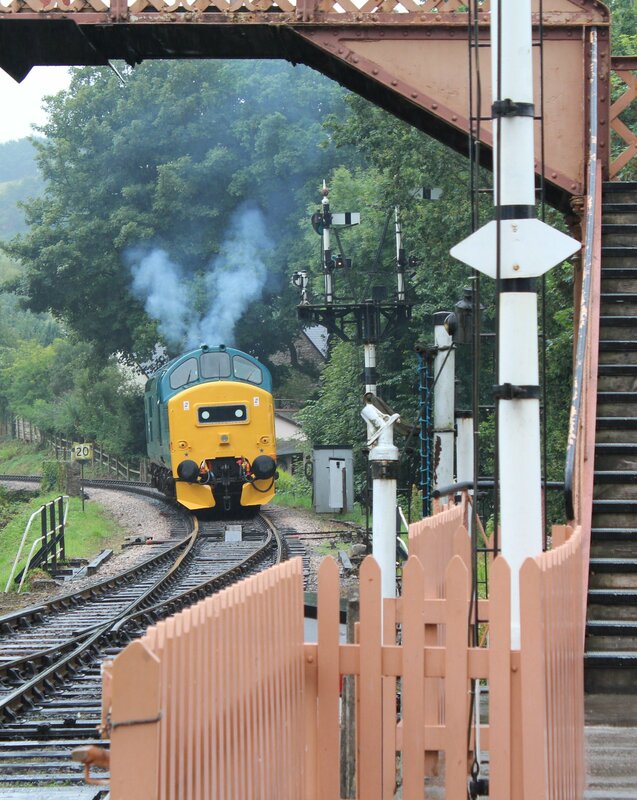 I think this machine illustrates how diverse our heritage railways are. If it wasn’t for surprises like this, we’d get bored! This locomotive is a new arrival on the South Devon Railway that I look forward to seeing again in the future. 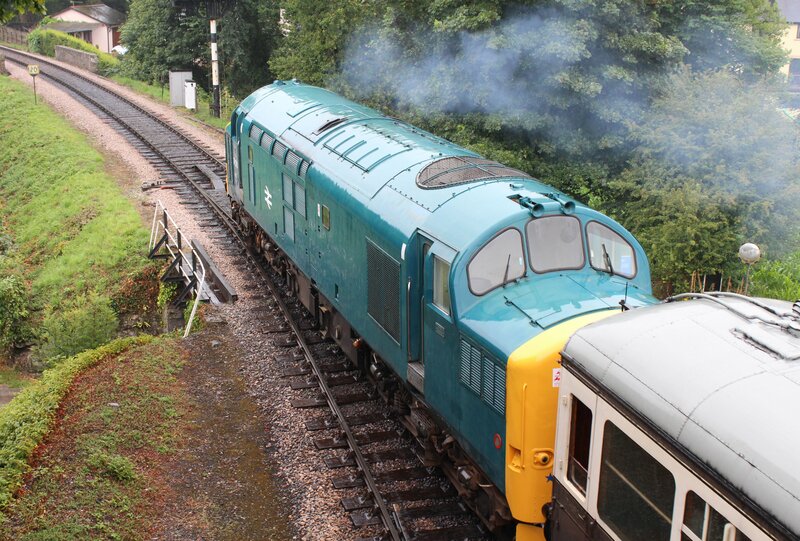 To see some of the other diesels to be found around Buckfastleigh please click here. ← UK Heritage Hub Issue 43 now ready to download! 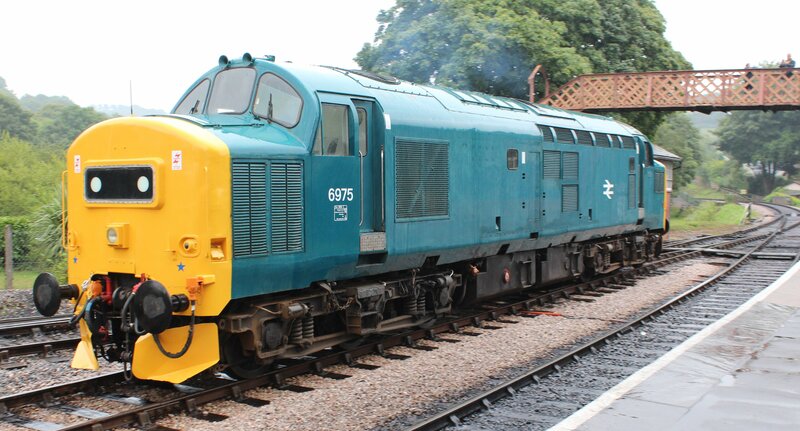 My knowledge of diesel locos consists of what colour it is, and if I can see the plate, its class as well, but only then! I know what you mean about the 90mph, we still put the transfers or paint on the same warning on our coaches, not really sure why asni doubt they are fit to run at 90mph any more! I guess they say the devil is in the detail! Someone will only complain if the transfer isn’t there, that’s for sure!